Planet is a strong supporter of women in the space industry. We teamed up with Rocket Lab to create a mission patch honoring the first woman astronaut, Valentina Tereshkova; every year we send amazing women Planeteers to the Grace Hopper conference; and we strive to uphold diversity at all levels of the company, including our board. On November 28, 2018, we sent another 16 Dove satellites to space on a PSLV rocket, and we decided to do something extra special with a few of them. One Dove side panel honoring the Mercury 13 candidates. 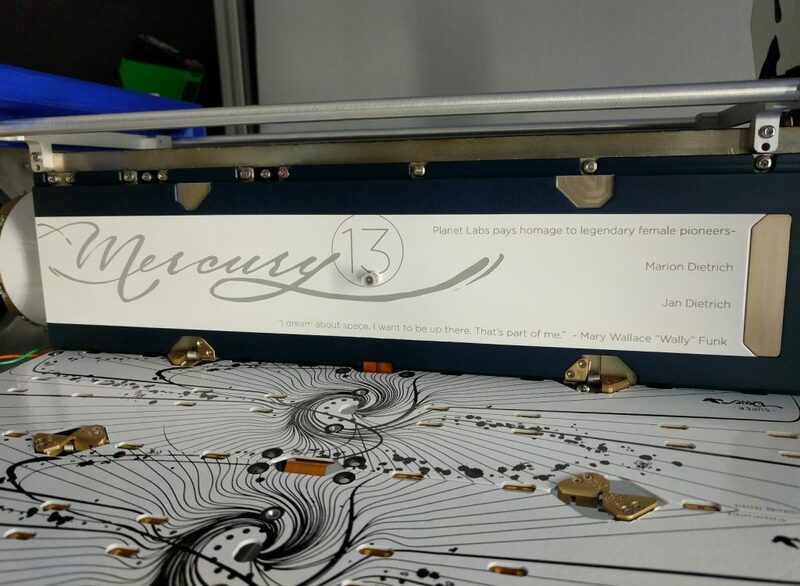 Inspired by the Netflix Mercury 13 documentary released earlier this year, we have laser-etched the names of all 13 female astronaut candidates from the Mercury 13 training program onto three Dove satellites. The Mercury 13 candidates were all incredibly brave women and extensively trained pilots. They passed the same physiological tests that male astronaut candidates were subjected to, but were ultimately discriminated against based on their gender, and never got a chance to fly. With these Dove satellites, we’re doing our small part to help set things right. The names of the Mercury 13 will get to soar into orbit, with the aim to inspire new generations of space enthusiasts of all genders and backgrounds to reach for the stars.